Meet Chester! 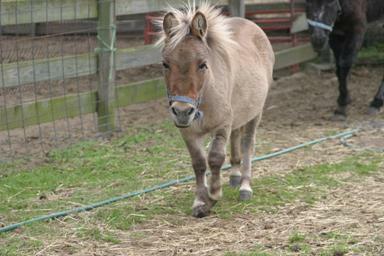 Chester is a miniature horse who was literally left on our doorstep September 29, 2009. 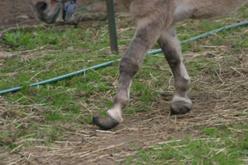 You can see by the pictures that his feet had been seriously neglected. It’s a wonder the poor boy could walk at all! 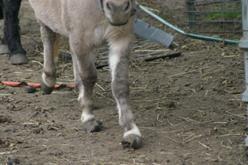 Thanks to Dr. Romine and our farrier his feet are well on the way to being normal. Chester is a friendly litte guy who loves his carrots. He fast became best friends with our old rescue donkey, Ethel.